The title of the book — written in all caps — is direct and dramatic, and meant to grab eyeballs. It has to, if it is narrating an almost 60-year-old story. Thereafter, it’s a detailed insight into the 1959 murder case that really did shake a nation in the most unprecedented manner. Commander Kawas Nanavati, a dashing naval officer, shooting dead his wife’s lover, Prem Ahuja, surrendering himself to the law and, then, facing court cases that took several turns was a story stranger than fiction. 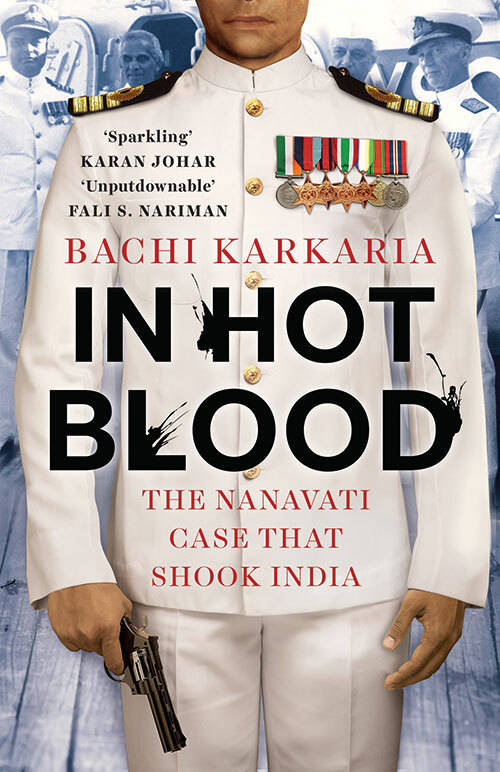 Karkaria weaves a fascinating tale of passion and power that involves the navy’s top brass, the sharpest legal minds, newspaper editors and hysterical fans of Nanavati, whose naval uniform played no small role in elevating him from a murderer to a man of noble honour. Setting her story against the heady times of the then-Bombay’s swish set in the 1950s, Karkaria recreates a glamorous world, far removed from today’s Mumbai, which nostalgia buffs will savour, while her trademark humour makes for entertaining reading. And bringing alive the tragic story are invaluable photographs. You see Sylvia, the young, attractive 20-something with her husband in happier times; and then you see her as a mellow 80-plus, with her daughter-in-law and grandchild. In between these pictures lies a lifetime of romance, betrayal, compromise, and new beginnings. Did being a senior journalist give you easy access to members of the dramatis personae? I do hope my reputation and credibility assured my sources that I would not be irresponsible or abuse their trust. I tapped rich veins of material thanks to people I met just by chance: Mike Bhada, for instance, whose intrusion into my interview with Vice Admiral Awati I resented, ended up being a proactive friend for all matters related to the Indian Navy. 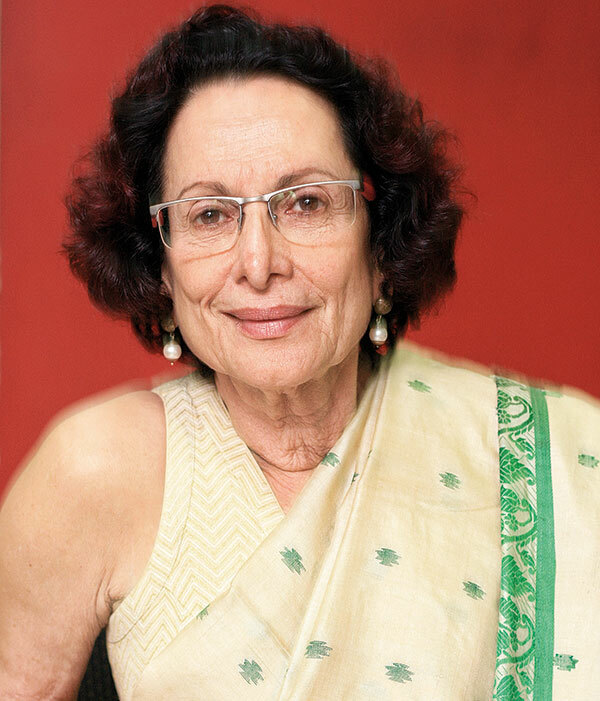 It was due to him that I realised that novelist Bapsi Sidhwa was Nanavati’s cousin. She was so generous with information, photographs, advice and moral support. Serendipity provided the great eureka moments. You argue that the murder was done in cold blood — but your title says otherwise. I couldn’t lift Truman Capote’s title In Cold Blood, could I? And even though all the judgments ruled that the killing wasn’t a totally impulsive act, it was without doubt a heat-driven crime passionnel. Did you take any stylistic liberties for dramatic effect? Style, yes. Liberties, no. To my delight, reviewers have almost uniformly described In Hot Blood as a ‘page-turner’, but they have also called it investigative journalism at its best. The challenge was to collect huge tracts of information and funnel it into readable prose. Did you have any qualms about reopening wounds while Sylvia is still alive? Frankly, yes, which is why I did not try to speak to her on the phone after my letter went unanswered. I’ve portrayed her in a new light. I felt strongly against her being made out to be someone drawn into the affair against her will. From what I could piece together, that was an unfair portrayal, created by the defence to ‘villainise’ Prem. In fact, if you think about it, he was the only one who ‘followed the script’. He was single, enjoyed the good life and made no bones about it. If you chose to walk into his parlour, you should have known that it could lead into his bedroom. It was a year of living obsessively. Other than my columns, I put all other work on hold, and almost all my personal life as well. I enjoyed meeting fascinating new people, exploring the unfamiliar domains of the law and the Navy, picking some of the country’s best brains, and piecing together what was such a far-reaching case — and such a compelling story.